Plans to force more benefit claimants to prepare for work or face losing payments are a "fair deal", says Work and Pensions Secretary James Purnell. He said private firms would be paid to get people back to work while those unemployed for a year would have to do four weeks' full-time activity. Most people on incapacity benefit would be expected to attend job interviews. The Conservatives said they would back the plans in the face of an expected "big rebellion" from Labour MPs. 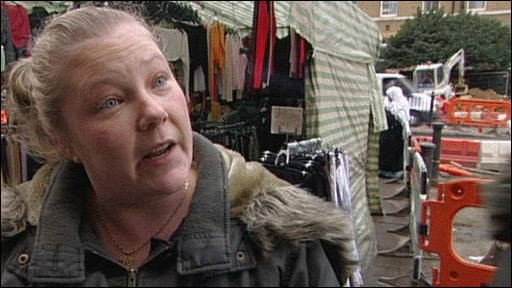 A welfare reform bill is expected to be published in January and any changes would come in in 2010/11. Outlining the welfare white paper, Mr Purnell told MPs it would adopt in full recommendations made by the Freud Review last year, which said private and voluntary organisations should be paid to get people back to work. It also supported the "vision" of last week's Gregg Review, which said most people on incapacity benefit and lone parents on income support should be looking for work or preparing for it through courses and regular interviews. 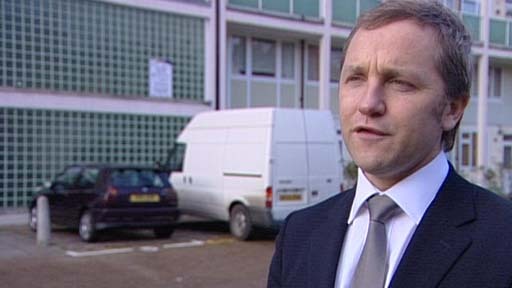 Mr Purnell told MPs unemployed people would be expected to do four weeks' full-time activity after a year out of work. There would also be pilot schemes requiring Jobseekers' Allowance claimants to work for their benefits after two years. Under the plans drug users would get a treatment allowance instead of unemployment benefits - and would have to show they were addressing their addiction to receive them. Mr Purnell told MPs: "We want virtually everyone who is claiming benefits to be preparing for work or looking for work. It is a fair deal, more support in return for higher expectations." He added: "Today, when the national effort is about a global downturn, we can no more afford to waste taxpayers' money on those who play the system than they could then. "But most of all we cannot afford to waste a single person's talent." Mr Purnell said mistakes had been made in the 1980s and 1990s when hundreds of thousands of people were put on inactive benefits to keep the unemployment count down. He said £1.3bn would be spent helping people find work but there would be "increasing requirements" on people the longer they are out of a job. "After a year, everyone will be allocated to a private or voluntary provider, and be expected to do four weeks' full-time activity. After two years, we will pilot requiring people to work full-time for their benefit." But the Lib Dems said proposals in the Gregg Review to encourage single parents with children as young as one to prepare for work were "a step too far". The Conservative work and pensions spokesman Chris Grayling also said making lone parents of one-year-olds prepare for work was "just plain wrong". But he told Mr Purnell the government had adopted Tory policies, adding: "That is why I can assure you today that there is no doubt, we know you are going to face a big rebellion on the Labour backbenches, can I assure you that we will give these proposals our support." Lib Dem work and pensions spokesman Jenny Willott said: "We need drastic reform of the welfare state, but this should be achieved without isolating vulnerable groups". The Gregg review recommended that everyone on benefits, apart from the severely ill or disabled, some carers and parents of children under one, should either be actively looking for or preparing themselves for work. Mr Purnell has stressed that single parents would not be forced to seek work unless there was adequate childcare available to them. The government faces opposition from Labour backbenchers like John McDonnell who said the government was "dismantling the welfare state". The Parkinson's Disease Society, which said the illness was commonly misunderstood because of its "fluctuating and unpredictable nature", urged ministers to ensure those making decisions to impose sanctions were properly trained to deal with complex conditions like Parkinson's. Plaid Cymru MP Hywel Williams said many of the proposals seemed to be "inappropriate and unworkable", especially during the economic downturn. He said fewer than 20,000 job vacancies were advertised in Wales while there were 330,000 working age people on benefit. "Simply put, there aren't enough jobs for everyone and the situation seems to be worsening," he said. For the Scottish National Party, John Mason MP said the reforms risked demonising the unemployed. "While we will look cautiously and constructively at the wider proposals, half-baked and draconian reforms are not the answer," he said.